Is one of the UK's leading independent retailers specialising in Yankee Candles and accessories. Established in 1995 from a small shop in Chesterfield, Derbyshire, Bigwicks was purely a candle shop. As the business grew, we had to diversify, moving to a larger premises in Chesterfield and then in 2000 opening our second shop in Barnsley. Bigwicks now sell a wide range of homeware products and gifts, but always have Yankee Candles at the core. We have been selling Yankee Candles since it was first introduced into the UK and have watched it grow into the UK and World No.1 manufacturer of premium fragranced candles. It is because of this success that we took the decision in 2011 (much belated) to open our website store. 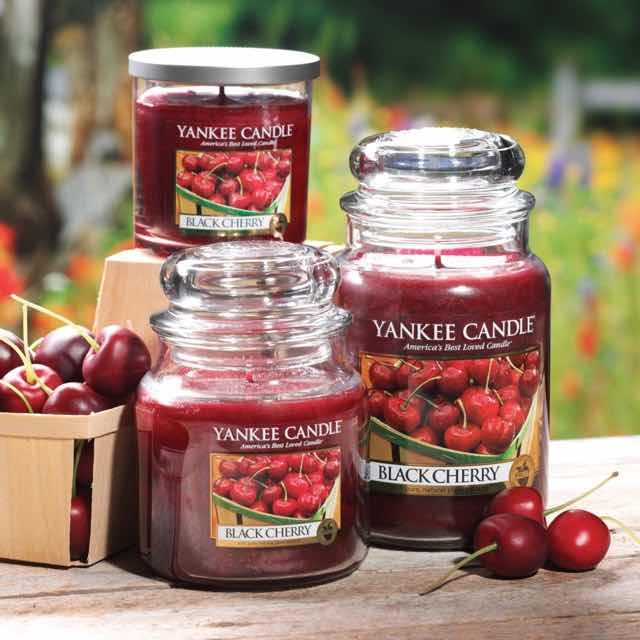 Yankee Candle has become the no.1 most-recognized name in the candle business and America's best selling candle brand by sharing their customers' “passion for fragrance” in every product they bring to market. Today, Yankee Candle offers the world's largest and most compelling selection of candle and home fragrance scents. In addition to their renowned House warmer® line of scented candles, they also provide a wide range of seasonal and specialty scented candles, home fragrance products, car fresheners and candle accessories. The majority of their candles are made by master chandlers (candle makers) in their advanced manufacturing facilities in Massachusetts. There's a reason everyone loves Yankee Candles so much ... they share your passion for fragrance. That's why they do everything possible to assure that every new experience with their fragrance is as good or better than the one before. It's not easy, but it's what helps make them America's favorite brand of premium scented candles. Part of it is their devotion to quality. They continue a cherished legacy of superior craftsmanship that's been passed down through generations of chandlers as a central part of their heritage and reputation. Yet, even as they honour the past, they are constantly developing new and better ways to enhance the lives of their customers. They stay deeply attuned to the world of fragrance, searching for new flavours and scents that will resonate with their consumers. They seek out fragrance ideas that will evoke the pleasant memories and experiences of everyday life. And, once they’ve selected the right fragrance ideas, they go to levels that are unique in the candle industry to ensure the quality and consistency of the fragrance experience. Master perfumers develop Yankee Candle® fragrances for optimal performance in their products. All of their fragrances are rigorously screened, reviewed and tested by their highly experienced team of fragrance professionals to achieve the best strength and quality experience in store, as well as in use. This assures that the fragrance strength and quality is the same in the store and wherever you use it. They know you will accept nothing less, because your passion is their passion. Authentic. True-to-life. Bold. Long-lasting. Made with fragrance extracts and real essential oils, their scents are the standard by which all other fragrances are judged. Developed to take you on a journey to the familiar and unfamiliar, the known and the unknown, whether real or imagined, these scents span a range of fragrance categories, including specific fruits and flowers, fresh, clean and outdoor types, and festive fragrances that enhance the holiday season. These fragrances also encompass new, trendy or trend forward scents and concepts interspersed among classic favorites. With every fragrance they introduce, their reputation is on the line. It is not enough for a Yankee® fragrance to be as good as our competitors' scents. It must be better, because it's what you expect of them ... and what they expect of themselves. Each fragrance has to possess the realism, accuracy and pleasantness of the true flower, food, fruit, place, or experience that inspired it. This is the fragrance experience that has made Yankee Candle® the benchmark for quality in the candle world. HG29+HP Simply enter this code in the search bar of Google Maps to find us. Super fast delivery , would highly recommend , have ordered from Bigwicks a number of times and found them extremely efficient and competitively priced. Have purchased a lot of Yankee melts from this company over the years, the service has been great, they despatch your parcels on the same day. The staff are very friendly, when you call them....Its a shame Liz left the company, outstanding customer service. Received exactly what I ordered. Very securely packaged. Beautiful Yankee Candle items. Bought some candle wax melts and some other bits and pieces for a friend's birthday, was all packaged well when it arrived, and most of all it cam so quickly, thankyou Big Wicks!! Easy to use website. Great offers. Super quick delivery.